If you suffer from chronic headaches or migraines and have given up on ever finding a real migraine cure, there is something you may have missed. 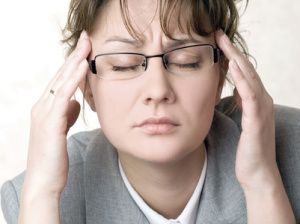 The problem with your headaches may not be in your head where you are feeling the pain; it could be in your mouth. Physiologic dentistry combines dental and muscle relaxation techniques to solve problems with the jaws that can cause headaches and migraines. Temporomandibular joint disorder is a common condition that involves the jaw joints. TMJ disorder can be caused by injury, the natural wearing down of the tissues that surround the TM joints or by dental issues. The jaws are designed to handle the stress of chewing when the teeth are positioned normally. Crooked teeth or a bad bite can cause excessive stress on the jaws. A balanced bite means that the top and bottom teeth come together without an overlap. When the bite is off, the jaws have to work extra hard, and that can lead to TMJ disorder and painful symptoms. TMJ disorder can trigger pain in the head, neck, shoulders and back. The pain can be felt beyond the jaws due to the complexity of the nerves that supply sensation to the head and face. When the jaws hurt, pain signals can cross, and you can wind up with the pain of a migraine headache. TMJ disorder can also trigger symptoms in the ears and eyes, including ear ringing and floaters in the field of vision. The most common dental treatment for TMJ and its symptoms is the use of orthotics; custom-fit mouthguards. When you wear a mouthguard, your teeth are positioned to relieve stress on the jaws. Wearing a mouthguard while you sleep can relieve jaw stress and prevent teeth clenching or grinding. If you tend to wake up with headaches, a nighttime mouthguard could relieve this pain by keeping your teeth in the correct position while you sleep. If a bad bite is the cause of TMJ symptoms, it can be permanently fixed with orthodontics or a full mouth reconstruction. Full mouth reconstruction can involve multiple dental procedures to move, straighten and rebuild the teeth. Dental restorations like crowns, tooth replacements and cosmetic procedures could all be included in a full mouth reconstruction. If you have symptoms of TMJ, chronic headaches or migraines, or would like to learn more about physiologic dentistry as a migraine cure, schedule a consultation appointment with your Highland Park dentist.